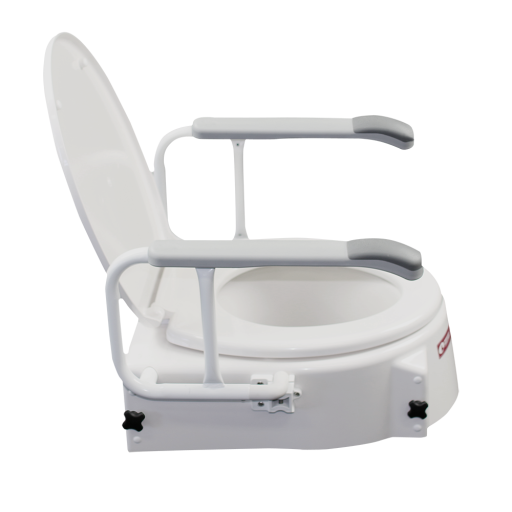 The Height Adjustable Toilet Seat Raiser helps an individual to be able to safely lower themselves on to a raised height toilet seat. Its sturdy arms provide a stable support to the individual when either lowering themselves or getting up. 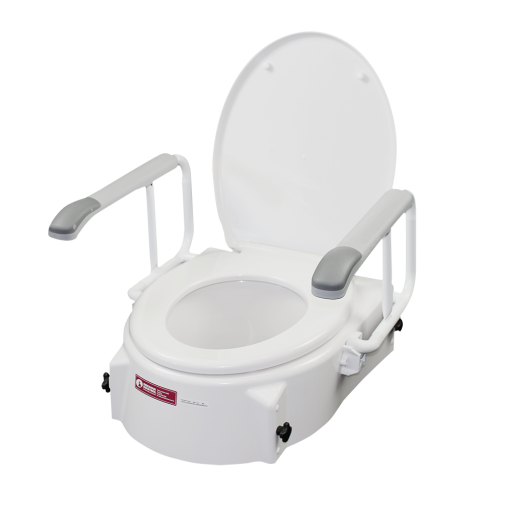 The toilet seat raiser is also height adjustable with two internal bars at both the back and front that can be set to either a 50mm, 100mm or 150mm rise. This toilet seat will fit onto most standard shape toilets. To install this toilet seat raiser the standard toilet seat needs to be removed first and then this goes in its place.